RUSH: Let’s go to the audio sound bites. We’re gonna start at number 1. This is me from yesterday on this very program. RUSH ARCHIVE: Now, let me give you a heads-up on this report. I want to remind you of a little prediction I made about it a couple of weeks before it came out. I didn’t predict what it would say about collusion because I am unable to predict from a day-to-day basis the level of dishonesty of the people involved here. RUSH: And that is exactly what I predicted. And guess what? 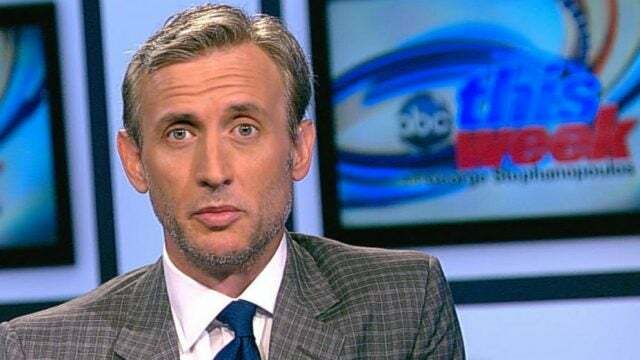 Yesterday on the Dan Abrams show on SIRIUS Satellite Radio, this is what he said he thinks will be in the Mueller report when it is released. ABRAMS: Here’s what I think. And I will be held accountable for this prediction. I think the Mueller report on obstruction is going to be far worse than the public, even the president expects. I believe that the Mueller report will lay out a lot of reasons why Mueller believes the president obstructed justice. Some of them we don’t know about, because even in Barr’s letter he refers to the fact that many of the actions took place in public view, which means some of them did not. I think it’s gonna have a lot of things damning to the president. Mark my words. Damning evidence of obstruction, and Mueller will have specifically referred to the fact that sitting presidents can’t be indicted. RUSH: See? It’s exactly what’s gonna happen. These guys even know what’s gonna happen. Mueller is going to continue to arm the anti-Trump realm out there in the Democrat Party and the Drive-By Media that he’s unfit. I’ll give you an example of the kind of obstruction that Dan Abrams might be referring to here. How many times, Mr. Snerdley, did Trump refer to the investigation as a witch hunt? Like a thousand, maybe. Okay. Every one of those, however many times he said it, I won’t put it past Mueller to call that attempted obstruction. Remember, it doesn’t have to be anything. All Mueller has to allege is that Trump, a sitting president, attempted to obstruct this God-given investigation, and the media and the Democrats are off and running. Even if it’s not proven, even if it’s not established, just that Mueller wasn’t certain about it because you can’t indict a sitting president. And I guarantee you it’s gonna have allusions to Trump’s unfitness because of his lack of sophistication, political experience. I have always thought that this report was gonna be tawdry no matter what its base conclusions. Everybody got mad at me when I was trying to tamp down the applause for this. “Hey, Rush, isn’t it wonderful? Mueller has cleared the president.” Mueller doesn’t have the jockstrap to clear Trump. My whole point here is that we don’t have a fourth branch of government that consists of a prosecutor sitting in daily analysis of a presidency and ruling on his fitness. And that’s exactly what we’ve had for two and a half years, and it is ongoing. So as I say, I understand the celebratory reaction to there being no provable collusion, but there never was any. But I’m not gonna rehash all that. Let’s move on to CNN this morning. James Clapper, they’re never gonna stop this. They are never gonna stop smearing Trump and his family. They’re gonna keep this up for the next two years all the way through the election and even into Trump’s second term and then Ivanka’s two terms and then Jared’s two terms and their kid’s gonna run. I mean, we’re looking at a Trump dynasty here, and however long the Trump dynasty goes, these people are gonna be pulling this. 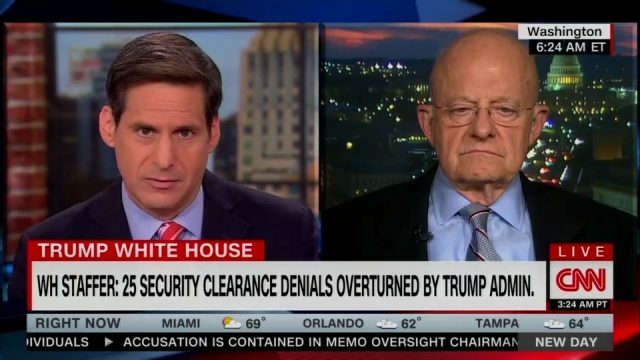 Here is Clapper today with left-wing activist John Berman disguised as a journalist, CNN. He says, “Why do security clearances –” see, the next thing that’s hit is there’s a whistleblower. There’s a whistleblower, baby. She’s been in the White House like 18 years. Yeah. And she says that there were 25 times where security clearances were denied people that Trump wanted to have them, and he simply overrode the denials, and he granted security clearances to people that don’t deserve them, have been turned down. So Elijah Cummings, the Congressional Black Caucasians in a hearing today went nuts, the whole Democrat Party’s going nuts. They’re renewed with energy. They got a brand-new allegation about Trump and they can’t contain themselves, and here’s Clapper going at it. CLAPPER: When people have issues, say, with foreign influence or conflicts of interest or bad conduct or financial challenges, these are potential ways by which people could be potentially compromised, leveraged, influenced by others, notably foreign adversaries, to gain access or to alter behavior. BERMAN: …Middle East peace, he’s working on NAFTA, he’s in constant contact with the Crown Prince of Saudi Arabia. So doing some pretty important stuff. CLAPPER: Well, exactly. And I don’t know what his issues were. But if he did, well, that certainly presents a vulnerability to security. 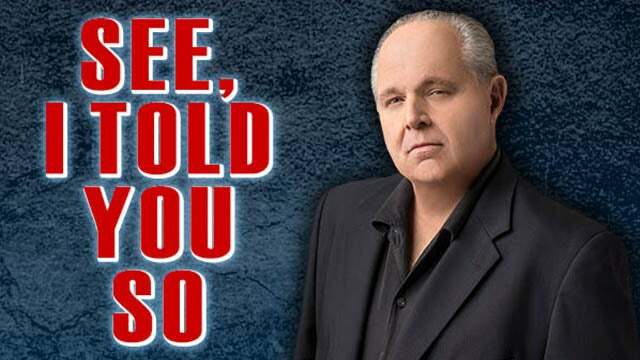 RUSH: Now, meanwhile, Hillary Clinton trafficking in classified information for years on an unsecured home server? Not a problem. She didn’t intend to do it. She didn’t intend to traffic in American secrets, not to mention Hillary Clinton with her foundation and her husband in a pay-to-play program where foreign adversaries were donating money to their stinking foundation in exchange for what they thought were gonna be policy considerations after she was elected. But none of that raises anybody’s eyebrows. None of that is a problem. But Jared Kushner, who the hell is this milk drinker? What the hell is he doing negotiating with the crown prince? What is he doing talking about NAFTA? What’s he doing trying to put together Middle East peace? Who is this guy? He doesn’t deserve it. So this is the tenor, and this is how it’s gonna continue. And you know notice Clapper saying, yeah, all these people are subject to blackmail because they have no qualifications, they didn’t pass security clearances. And John Berman, “Yeah, we think, we think — this is a news organization “– we think Jared Kushner is one of them,” meaning one of those who didn’t pass the security clearance test but still got his clearance. We think Jared Kushner’s one of ’em. You know he’s sidling up to the crown prince of Saudi Arabia, Mohammed bin Salman. (interruption) How does the president decide who gets a clearance and who – (interruption) Well, yeah, it can, but there is a process by which — and there are different levels of security clearance. I don’t know what they all are, but not everybody has top level. So people have top secret, some people have half secrecy, some people have eyes only, some people have rear end only. There’s a whole bunch of different qualifications here for security. It doesn’t matter, folks, do not get sidetracked by trying to analyze this substantively. This isn’t about substance. This is about an ongoing new discovery that Trump’s breaking the law, that Trump’s unqualified, that Trump is gaming the system. It’s all part of this never-ending effort to convince you that Trump is a clear and present danger and needs to go. RUSH: Time now for another audio sound bite that illustrates my point. We turn now to Inside Washington establishment guru Frank Luntz, he of the august focus groups and polling data. He was on Your World with Neil Cavuto. Neil Cavuto is not a Trump fan, for the most part. So he has Luntz in there last night. Charles Payne actually was the guest host, and Charlie Payne’s a great, great guy and a brilliant economic wizard. Got his own show on the Fox Business Channel. He’s got Luntz in there. And Charles Payne is right here. The Democrats are making demands that the law be violated, that the entire report be made public, even though they’re being hypocritical as can be because they argued the exact opposite after the Clinton special counsel investigation of Ken Starr. More on that in a moment. But I want you to listen to what Luntz says here after Charles Payne says, “These Democrats are asking for the world to see unredacted info, the most salacious stuff on secondary and tertiary players in this thing, nonfactors.” And it’s nobody’s business. These people could be unfairly smeared, and here’s what Luntz said. LUNTZ: You give Mueller all the time in the world because they thought it was going to show something bad about Trump. And then when it doesn’t, they demand the report immediately. The level of hypocrisy in this situation is something that I’ve never seen before. Look, the president should be careful with his language. The Democrats should be careful with their language. When these people are speaking and using words and describing people in ways that we would never allow a high school teacher to speak, when they’re using language that we would punish our children if they used it, if they said it, then we know that we have a problem. And when we have a situation now where it’s undermining the credibility of the governing institutions of this country, then we have a crisis. This is all part of the ongoing effort to try to convince Americans that Trump is simply unsuited. He’s just not humanly capable of occupying this job because of his language and his hair color and his speech patterns and whatever the heck else. RUSH: So today’s the deadline. 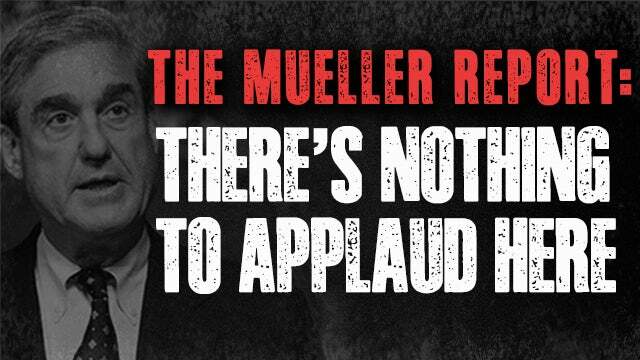 Today is the day that the Democrats have demanded that William Barr, the attorney general, submit the entire Mueller report to them. And if that doesn’t happen, subpoenas are gonna start flying. They’re gonna demand this and they’re gonna demand that. They want to see everything. They don’t want anything redacted because they just know, they just know that there’s dirt in there. James Comey is on CNN (imitating Comey), “I can’t imagine what needs to be held back. I can’t imagine what could be in this report that needs to be held back.” Comey’s actually saying, “I think Mueller wrote this with an eye to it being made public.” How the hell does he know? How the hell does Comey know what’s in this report? I ask that rhetorically. I have no doubt Comey knows what’s in this report. They’re all a den of thieves here working together in a conspiratorial way to undermine the president. So Nadler, Adam Schiff were saying that it’s against the law to release grand jury material, and there’s lots of grand jury material in this Mueller report, by definition. He had a grand jury. He brought people in there. They were interrogated and questioned. And a lot of them had nothing to say and nothing to do with any of this. Who knows what kind of tricks were used to get them into appearing before the grand jury. But Nadler and Schiff were bemoaning the thought that innocent people, people who had never been charged with any crime might be smeared by the grand jury material which contains accusations of hearsay and libelous smears. You know, the target in a grand jury probe, the target’s lawyer is not permitted in there. There’s no limit on what the prosecutor — in this case, special counsel — can ask. And you’ve heard the old saw that prosecutors can get an indictment for anybody any time they want, which is pretty much true. And by law, what happens to the grand jury is not to be made public except by people who appear before the grand jury. They can tell anybody any time what they said. But nobody in the government can, and the grand jurors can’t say publicly what they heard and what was said, and the prosecutor can’t speak about it. And this is what Schiff and Nadler and the Democrats want waved. They want the whole thing, and they want all the redactions waved so they can see everything. The Democrats were even more vehement back in the Clinton special counsel investigation with Ken Starr, they were even more vehement about the irreparable damage that could be done to Congress’ relationship with the FBI and the intelligence community if they released national security secrets like sources and methods. These are all reasons the Democrats cited back in the nineties not to make all this stuff public. But nobody in the Drive-By Media is reminding people of Nadler and others back then. 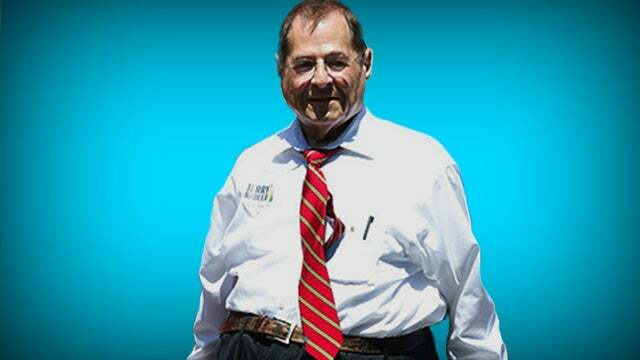 Now, these points that we have Nadler on record, you’ll hear him in a moment saying so, those points are the exact points that the attorney general has raised in his letters to the House Intelligence Committee. He’s told them I can’t make it all public, I can’t let you see the redactions, and I can’t reveal grand jury testimony to you. I can’t break the law to do this! But that was then. This is now. And the Democrats don’t care about any of that now. Not that they did in the past either. It was just a convenient tool to use against the Republicans. But back then during the Clinton era the Democrats job was to prevent the release of the Starr Report, any part of it, in order keep the public from finding out about Clinton’s escapades, which they thought would keep him from being impeached. Jerry Nadler back then called the Starr Report a partisan coup. More recently, back in February the Democrats mission was to prevent the release of the Nunes memo and thereby protect the Mueller witch hunt at any cost. Nunes is a hero. Nunes is the reason we know the scope of the dossier and how it was used before the FISA court. Devin Nunes risked a lot to find out what he found out and made public. And the Democrats were going bonkers with Nunes and trying to castigate him and characterize him as rogue and insufficiently qualified to be doing what he was doing, trying to get him not believed. But now the Democrats’ job is to continue the coup at any cost. To hell with damaging the relations with the FBI and the intelligence community; to hell with people who get smeared with false allegations of crimes for which they were never charged because there was no evidence. That’s what we’re gonna learn. People who were not charged. This is why this stuff is not made public. Prosecutors cannot, do not, it’s a rule of law, you do not talk about people that you’re not charging with anything. You don’t talk about evidence or allegations or any of that with people you’re not charging. And this report’s gonna have interviews with all kinds of these people, which is gonna open the door, “Well, maybe Mueller should have indicted that guy or that woman. Maybe Mueller should have pursued that.” It doesn’t matter what substantively is in it per se. It just is the opportunity to continue to question everything that the Democrats want. Let’s go to the audio sound bites. Here is Jerry Nadler September 9th, 1998 from the Charlie Rose show. This before Charlie Rose was suspended from CBS for sexually harassing a lot of women. Here’s what Nadler said about the release of the Starr Report. NADLER: As a matter of decency and protecting people’s privacy rights, people who may be totally innocent third parties, what must not be released at all. It’s grand jury material. It represents statements which may or may not be true by various witnesses, salacious material, all kinds of material that it would be unfair to release. 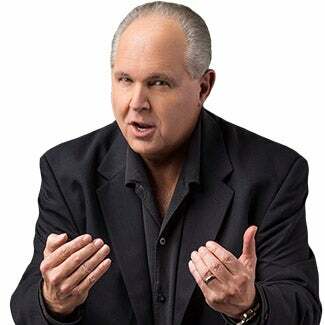 RUSH: The very stuff he wants released today. The very stuff that he’s demanding that Barr make public to them today. Here’s little Pencil Neck this morning on Capitol Hill speaking with reporters about the Mueller report. 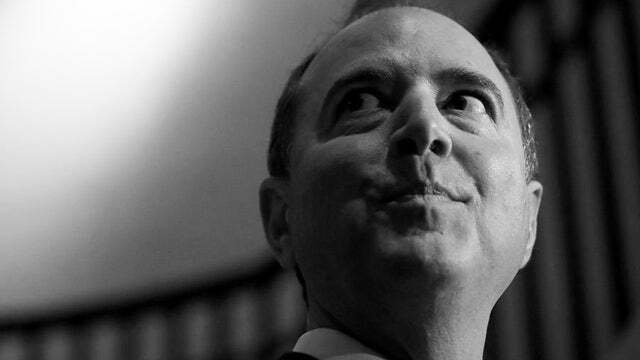 SCHIFF: The House voted 420 to zero to release the entire Mueller report. I certainly strongly support it. It looks like the president is concerned about that. He ought to live up to what he said earlier. He ought to support the full release. None of that should be redacted, but clearly he’s concerned about that coming out. RUSH: See how easy this? “Oh, yeah, the president doesn’t want –” there’s this little thing called the law. But you see, folks, when you start ignoring the law on the border and when you start ignoring law here and there, you start ignoring law when it comes sanctuary cities, it’s so easy to consider something else against the law as irrelevant. This is the slippery slope that befalls every culture that decides to go lax on the rule of law. So we’ll see what happens, but keep in mind this. If this report — and this is not gonna be the case — but if this report has literally no criticism of Trump in it, which, as I say, is not reality, but I’m just creating a hypothetical. Any number of techniques they can use to make it appear that this is in no way final. And remember, as I said yesterday, the Democrats in truth don’t mind the report not being fully released because they then can condition with their narrative that the president is trying to hide a bunch of stuff. His handpicked attorney general, William Barr, is making sure that nobody will ever see the real salacious stuff. They’re working hand in hand in hiding from the American people what Robert Mueller unearthed, discovered, and learned. And this will be their narrative if they don’t get the whole thing, which they won’t. So you may be tired of hearing about it. I remember the calls we got yesterday, “Rush, we’re tired of Mueller this, Mueller that.” I’m sorry. That’s kind of what they want. They keep talking about this to the point of wearing you out, you tune ’em out, that’s fine as far as they’re concerned. They’re not gonna stop, and I just want to warn you about that. RUSH: Oh! And one other thing. Adam Schiff just can’t stop lying. We played the sound bite in the last half hour of Pencil Neck saying that the House voted unanimously to release the Mueller report unredacted, and the House voted he said 420 to nothing. The House did no such thing! What the House voted for was to release the report to the public, which was required because after the Starr Report, the Democrats changed the special counsel rule to say that special counsel reports would not be automatically released. This is the hypocrisy. After the Starr Report, Democrats said, “We can’t ever have this again.” So they passed a law saying that special counsel reports cannot be made public. And Schiff is out there lying and said the House voted 420 to release the Mueller report unredacted. Not a single Republican would vote for that, and none of them did. All they voted for was to release the report to the public. And nobody’s gonna vote against that anyway because who’s gonna say to the public, “You have no right,” ’cause they’re covered by the law. They can vote whatever they want. But just because the House votes in a resolution doesn’t make it law. It has to go to the Senate, president has to sign it. So it’s meaningless. They didn’t change the law. And the law is the report cannot be released. And the law is the law because of the Democrats after the Starr Report. And any legal beagle that is honest and knows his stuff will tell you this and they’re on TV saying so. Professor Dershowitz is saying it’s against the law to release the thing. You can’t do it. Barr knows this. Barr’s not gonna break the law, no matter what public demands or Democrat demands that are there.